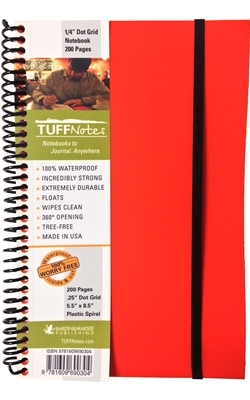 TUFFNotes | Waterproof Spiral Notebooks to Journal. Anywhere. TUFFNotes stand out in the world of durable notebooks as they are the only waterproof spiral notebook that we have found to incorporate all of these components. Which in turn means, you just might get plenty of questions next time you are journaling, sketching, doodling, drawing, or taking field notes in a place where ideas generally get left behind or paper rules the day.